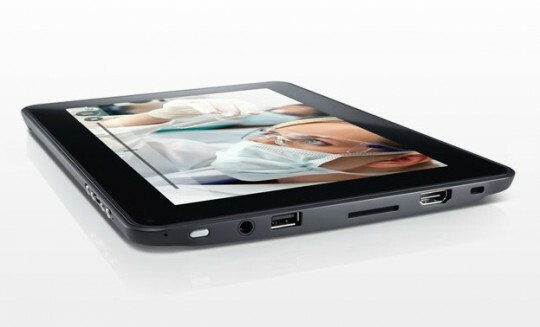 Dell Latitude ST Tablet features Windows enabled power in the body of a touch-screen slate, combining the mobility of a tablet with the manageability, security and compatibility. This tablet packs Intel Atom z670 processor, 10.1-inch WXGA Wide Viewing Angle LED display with Corning Gorilla Glass supporting Pen & Touch Input. Dell Latitude ST tablet is equipped with Mobile Intel SM35 chipset, up to 2 GB DDR2 SDRAM at 800 Mhz, up to 128 GB solid state hard drive, high quality mono speaker, one USB 2.0 port, HDMI port, and SD card reader.